Richmond Suites has everything you need to make this trip the most memorable! Located at the juncture of Highway 171 and I-10, it's all about location, location, location! Pets Allowed, $25.00 non-refundable fee per stay. Description For upcoming meetings and conventions in the Southwest Louisiana Lake Charles area, we are here to service your event needs. Our classic Audubon inspired property features more than 80 over-sized guest rooms and suites with over 3,000 sq. feet of flexible meeting and banquet space with experienced staff to assist you in your planning. 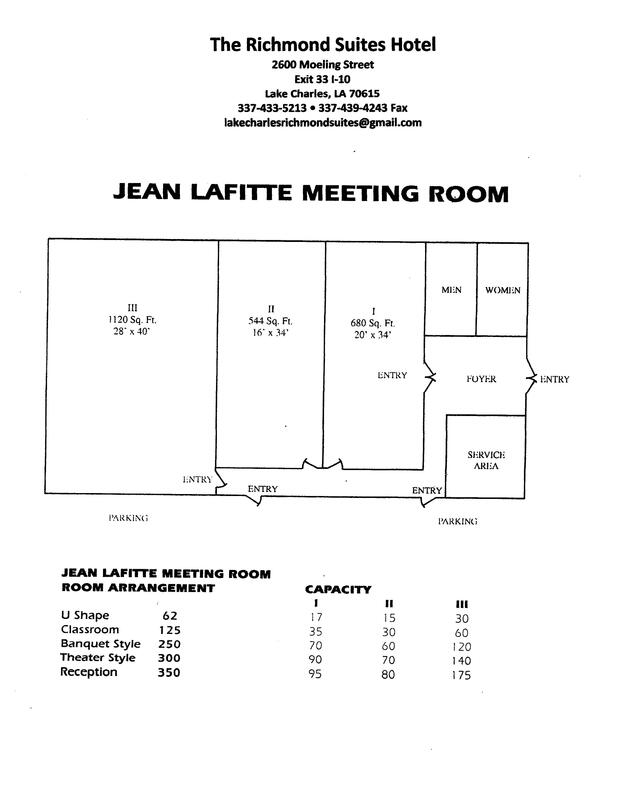 Space Notes Our Jean Lafitte Ballroom features flexible air walls for convertible meeting and event needs. Our Audubon Meeting Room is perfect for small meeting up to 40, Private Board Room for 10 and breakout suites are also available. 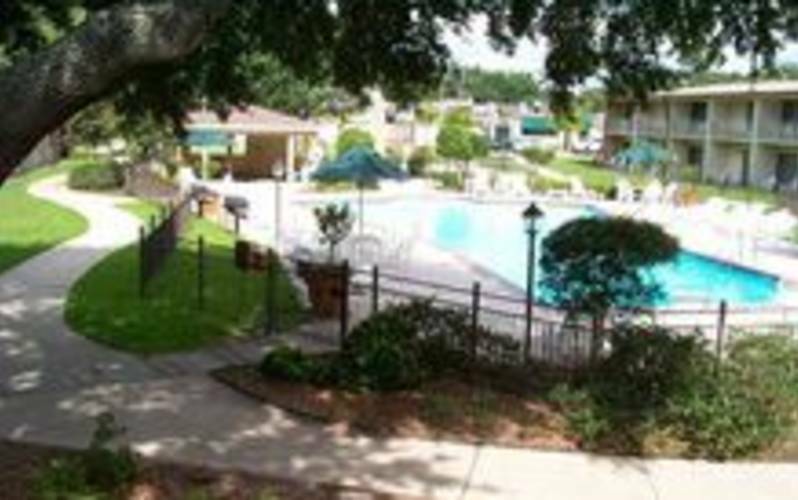 Conveniently located off I-10 exit 33 our surveilled open property layout is not your average BOX hotel allowing immediate access and view of your vehicle with rooms featuring patios and balconies. Extended Stay rates available.